Pastor Ed and his wife Reneé together have 4 children and 4 grandchildren. Reneé works in healthcare administration at a local hospital and has been a nurse for over 25 years. Pastor Ed has been privileged to be Pastor of Westside Church since 2002. Westside Church was begun by Ed’s grandfather in 1955, and is the church Pastor Ed attended from nursery to adulthood. Before surrendering to the call of God to pastor, Ed was a journeyman “Die Maker” at General Motor for 11 years. During this time he served as a volunteer youth leader in the church. Between 1990 and 1997, he planned and led annual youth group mission trips within the U.S. He received a Bachelor of Ministry Degree from Andersonville Baptist Seminary in the year 2000, and a Master of Ministry Degree from Rockbridge Seminary in 2008. Before becoming Pastor at Westside Church, he left General Motors, and served the church as Associate Pastor from 1997 to 2001. During these years as Associate and Senior Pastor, he has served as Youth Evangelism Coordinator for the Baptist State Convention of Michigan. This position provided the pleasure and opportunity to plan and lead events for youth evangelism ministries across the state. In the past, he served the Genesee Baptist Association for several years as Associational Youth Leader and Consultant. He is currently serving as “New Work” team leader in the association. Pastor Ed is no stranger to the opportunities of hands-on mission ministries. He has lead mission groups from his church to work in the Dominican Republic on 6 different occasions beginning in 2005. He was also a member of a “Ten Pastor” mission group to go to Siberia in 2001. He is a good administrator, and energetic and charismatic leader, who loves people; and is loved by all age groups in our church. ​Alexis and his wife Melissa have ben a part of Westside Church for many years. Melissa grew up here and Alexis has been serving here for over 15 years. They have 2 children, Hannah who is a young adult and lives in the greater Detroit area and Alex who lives at home and is pursuing a life as police officer and presently serves on our praise team. Alexis and Melissa have both served in the music ministry for many years before taking over the leadership role in 2017. Alexis is talented not only in music but also very gifted in technology and media. He keeps our sound, lighting, and online presence relevant and running smoothly. 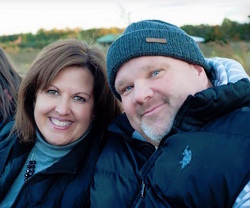 ​ Mindy and her Husband Jason have been attending Westside Church since 2009. They have 2 beautiful daughters and stay busy with them and their activities but still find time to serve faithfully in the church in many ministries. They both help lead our youth ministry and Jason leads out in building and grounds maintenance aLso. As of 2015, Mindy was asked to serve on staff as our administrative assistant. She holds the office down every day of the week and keeps us running smoothly.